Killer Bunnies and the Quest for the Magic Carrot is a fast paced, action filled card game, in which you must try to keep as many Bunnies alive as possible while eliminating your opponents’ Bunnies. This bundle is a collection of expansions that adds new mechanics and game play to the original Killer Bunnies Quest Blue Starter. 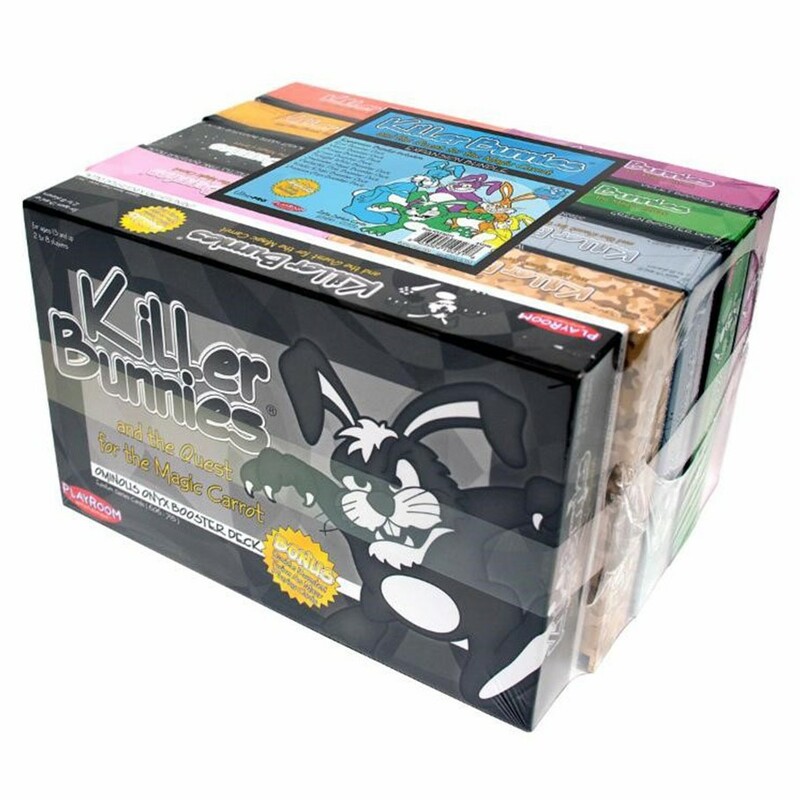 It is the ultimate gift for the Killer Bunnies fan looking to catch up on all the fun! This collection captures over 5 years of Killer Bunnies starting from the Red Booster and goes all the way to the Ominous Onyx Double Booster.